This was an experiment to make something Industrial sounding. Did it work? So far people either really like this piece or really hate it. 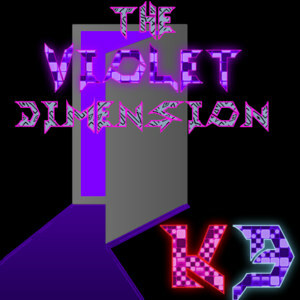 Welcome to the Violet Dimension, You'll be here a while. There's no way out, the door only opens one way. Your Life is mine now. Cool mix. Had not heard this one before. Is the part at the beginning from the Droid commercials? I especially like the somewhat 80's style D.J. 'ing in the middle. Actually I think the part you are talking about is the Sawer Synth having the pitch quickly adjusted not the vocals, is that correct? Yeah that is not the vocoder, but a synth that is having the pitch adjusted quickly. That was actually the origin of the piece as I was playing around with the Sawer Synth (modeled after a real Soviet Synth) and came up with that sound and said now all I need is a 4+ more minutes and the rest evolved from that. That's how the best ideas get started, I think! First off, I gotta say that your drums are really nice. Good, strong beats, although they could be mixed a bit more strongly if you want to emphasize them in your songs more. Your concepts are interesting too, but I might try spicing up that synth work a bit. Try messing around with those straight detuned sawtooth waves there! Apply some weird filters, interesting effects, or something. Right now they are le cheese, and that's a damn shame because this track has a good bit of potential. Work on your mix, add some spice to those synths, and you'll have something really spectacular. Thanks for the great feedback. I attempted to make an Industrial piece with this and think I somewhat succeeded, all though some on reddit said it wasn't industrial enough. The suggestion about applying weird filters sounds good to me, perhaps when I come back to remixing this piece I will keep that in mind.